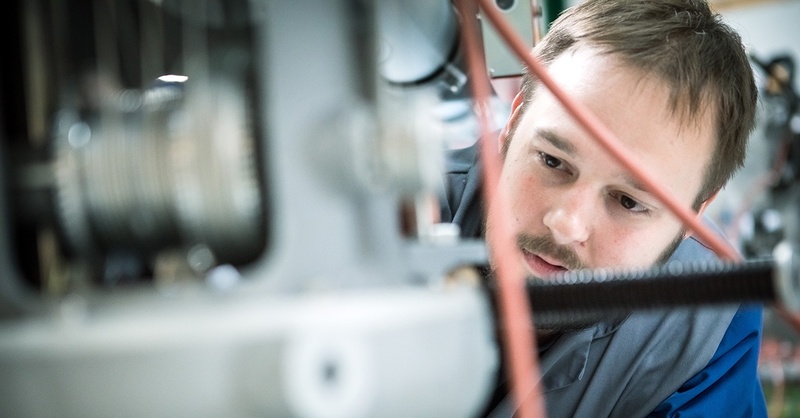 Creating lifesaving products and solutions that prevent contamination is in constant focus at Getinge’s manufacturing site in the French city Vendôme. When diagnosing or treating cancer, radioactive isotopes – so-called radioisotopes – are used more and more often. But since they consist of hazardous radioactive material, they have a long and rocky road to go before they can be safely used on patients. “Some of our customers are drug manufacturers who prepare and deliver radioisotopes. They need to get the radioactive material from the nuclear reactor to the site where it is manufactured, and eventually to the hospital where it is used to detect or treat cancer. And it all needs to be done in a safe and quick way,” tells Christophe Selliez who works at Getinge’s site in Vendôme. 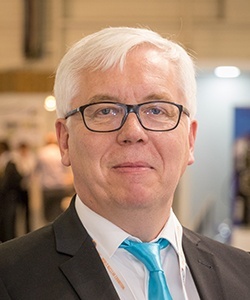 Christophe is in charge of LaCalhene, a brand owned by Getinge that develops tailor made innovative solutions to enable safe transport, transfer and working conditions in hostile environments, and removal of radioactive waste. The solutions are also used by customers who perform research on nuclear medicines such as radioisotopes. Multiple tests make sure that a cask and its content can handle for example a 9 meter free-fall onto an unyielding surface, a 1 meter free-fall onto a steel rod, a 30 minute fully-engulfing fire at 800 degrees Celsius or even an 8 hour immersion under water. “No matter what, there cannot be any leakage of radioactive materials, or any risks that it gets damaged before being prepared at the site or before the radioisotopes reach the patients. And most radioisotopes have a very short half-life; in some cases we are talking about just a few hours,” tells Christophe. So, it is of course crucial for Christophe and the team in Vendôme to make sure that their customers can transport the radioisotopes both safely and quickly to the hospitals. But there is also a big challenge when preparing the radioisotopes, as the operators needs to work inside a hot cell, a place where they cannot physically be. They need to get the work done from the outside. “Our remotely controlled telemanipulators work as extended arms and allow the operators to handle nuclear material and contaminated items from a protected zone, making it safe for them to work inside the hot cell. We also supply gloves and other solutions for efficient operations in a contaminated, radioactive environment,” explains Gary Trefouel, Engineering Pool Manager, Telemanipulators and Casks, in Christophe’s team. Included in this offer is also Getinge’s DPTE® safe transfer system originally developed in Vendôme. It consists of two parts: an Alpha port which is installed on an isolator or filling line or piece of hot cell equipment, and a Beta part which is a rigid container or flexible DPTE-BetaBag® that docks onto the Alpha port. “Once connected, they form a safe and leak tight barrier so that transfer of toxic material can take place without risking contamination for the people working with it,” says Gary. Christophe, Gary and the rest of the team in Vendôme are honored to work with lifesaving solutions on an everyday basis. 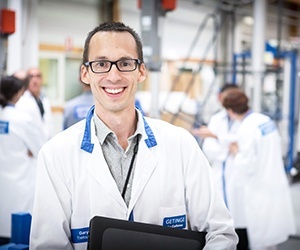 “It is indeed rewarding to be part of creating a protected and safe environment for the operators who prepare nuclear medicines to save people’s life, and ensuring that our customers can deliver the radioisotopes safely to the hospitals,” says Christophe.